The pressure's on the Trump administration, but aid organizers cite serious logistical challenges. The Trump administration is under pressure to speed up recovery efforts in Puerto Rico and the U.S. Virgin Islands, where conditions in the wake of Hurricane Maria have become raw and primitive amid an intensifying fear that the worst of the crisis is yet to come. Prominent Democrats, while not directly criticizing the Trump administration, offered pointed advice. Hillary Clinton on Twitter urged the White House to send in the relief ship USNS Comfort – which instead is docked in Norfolk, sidelined because the Navy does not believe the compromised ports in the islands can handle the big ship right now. The administration Monday said its response has been robust. 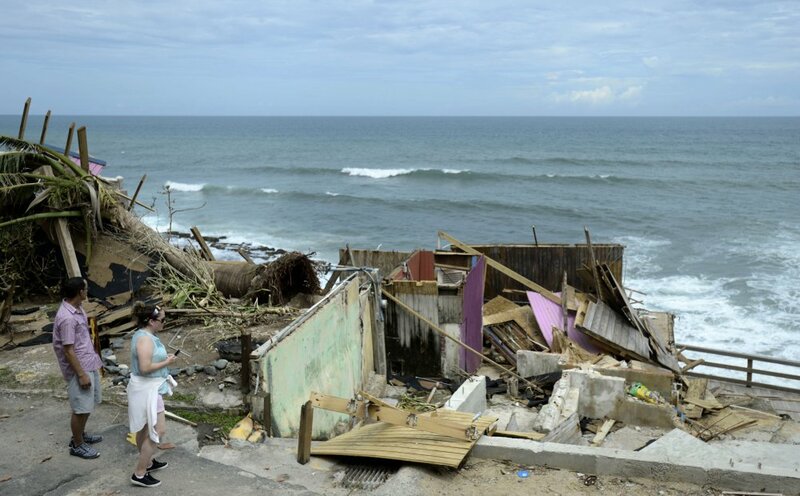 The Federal Emergency Management Agency, which coordinates the recovery effort, said 10,000 federal employees have been deployed to the Caribbean. The Coast Guard has sent in 13 ships known as cutters. Commercial barges are arriving with relief supplies. The National Guard is being housed on barges and on a cruise ship that arrived this weekend. Cellphone service is coming back in some places, but it is spotty. The lack of information, and the inability to travel on interior roads blocked by debris and fallen trees, has meant ongoing fear for the well-being of loved ones in inaccessible places. “How are we supposed to receive help if no one knows we are here?” said Lisandra Alicea, tearing up as she carried a grocery bag filled with juice, crackers, toilet paper and batteries, hoping to make it through the debris-clogged roads to visit her mother in the small mountain barrio of Hayales. She hadn’t heard from her mother since communications failed as Maria blew in on Wednesday. 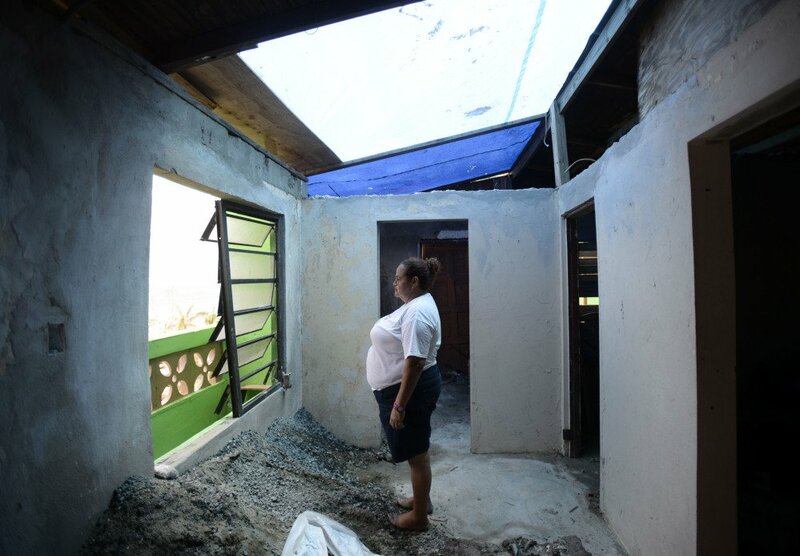 In the small town of Morovis, Soraida Sierra Matias looked over the remnants of her wooden home, ripped to pieces by the storm. She had heard nothing, nor received any help, from local or federal officials. What she really needs, she said, is some canned food, and perhaps a little gas stove so she can cook and camp out in what was once her home. “People are going crazy,” her husband, Wilfredo Cruz, said. Federal officials say there’s no way aid can reach the islands as quickly as it reached Texas or Florida after they were slammed with hurricanes in recent weeks. He said he understands why people feel forgotten. “They feel isolated and they’re probably getting a sense of betrayal, of well, ‘Where is the cavalry?’ ” Zukunft said. He acknowledged that conditions could become yet more trying for those who live on the islands. Federal officials say reopening of ports is key to disaster recovery because ships can carry far more cargo than aircraft. Adm. Brown said air relief often has a more dramatic appearance, but ships are necessary for this scale of a humanitarian crisis. “An island like Puerto Rico, or St. Thomas, is fed and supplied by the sea. Ultimately the mass of response is going to come by sea, and getting the ports open is the single best thing the Coast Guard can do to get Puerto Rico back on its feet,” said Brown, who as Seventh District Commander oversees operations in the islands. The lack of electrical power is undermining much of the response and leading to cascading effects, including disabled water and sewer systems. The electric grid was “catastrophically damaged,” including 80 percent of the transmission lines that form the grid’s high-voltage backbone, Ken Buell, director of emergency response and recovery for the Department of Energy, told The Washington Post. He said the generating stations, which are largely on the south side of the island, fared relatively well during the hurricane. 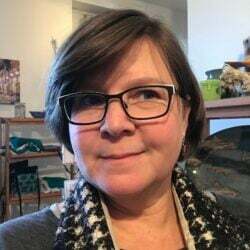 But only the underground lines remain functioning on the transmission system, and the distribution system – carrying power to homes and businesses – is 100 percent dysfunctional, Buell said. William “Brock” Long, administrator of the Federal Emergency Management Agency, said Monday as he traveled to the Caribbean islands that the U.S. territories are getting the same treatment as any other place in the United States after a disaster. The military defended its deployment decisions to date. The Navy so far has three amphibious ships working on relief efforts in the islands: the USS Kearsarge, the USS Oak Hill and the USS Wasp. That’s a modest fleet given the scale of the crisis. Conspicuously absent is the USS Abraham Lincoln, an aircraft carrier that can house more sailors, planes and helicopters. The Lincoln had been deployed to the Florida Keys in response to Hurricane Irma, and it served as a powerful symbol of an active military response to the Category 4 storm that hit the lower Keys before traveling up the state of Florida. But the Lincoln turned over responsibilities to smaller ships and returned to port in Norfolk last week – at roughly the same time that Maria intensified, becoming a major storm that threatened Puerto Rico and other Caribbean islands. Thomas LaCrosse, the Pentagon’s director of defense support to civil authorities, said U.S. officials discussed deploying the USNS Comfort to Puerto Rico over the weekend, but decided that it should stay in Norfolk because it could not get close enough to any port to avoid using helicopter support to get patients to and from the ship. It made more sense, he said, to bring medical support into Puerto Rico by U.S. military aircraft, such as C-17 cargo jets. Pressed on why the Comfort and Lincoln were not sent, LaCrosse said that the Puerto Rican government did not request them. “We have great capability, but we cannot send it unless the state – or in this case territorial – government asks for it,” he said. In San Juan, Sen. Marco Rubio, R-Fla., who had taken an aerial tour of the devastation, said the U.S. government has to ensure that the response to the hurricane is “the same as it would be in any other territory or state in this nation.” Puerto Rico has now been hit, he said, by three storms: “Irma, Maria and the fiscal crisis that it’s had to confront.” The U.S. territory is struggling with its debt-ridden finances. Four lawmakers – Rep. Nydia Velázquez, D-N.Y., who represents parts of Brooklyn but was born in Puerto Rico; Puerto Rico’s nonvoting representative Jenniffer González-Colón, R; Rep. José Serrano, D-N.Y.; and Darren Soto, D-Fla. – on Monday called on the Trump administration to establish a new federal entity to address the island’s unique situation. The lawmakers also want the administration to provide relief from the pressing economic issues facing the island’s government. Senior congressional aides in both parties said Sunday that FEMA isn’t expected to ask Congress for more money to replenish its federal Disaster Relief Fund until mid-October, signaling that agency officials believe they have the cash and equipment needed right now to respond to the island’s devastation in addition to ongoing recovery efforts on the mainland. Regardless, lawmakers without direct ties to the island, but who have states with growing Puerto Rican populations, were also clamoring for a faster response. “For decades, Washington has neglected our obligations to the island. We’ve denied Puerto Rico’s residents – American citizens – vital human services and adequate health care funding, and there’s no doubt in my mind that our negligence made the devastation in Puerto Rico even worse,” Murphy said.